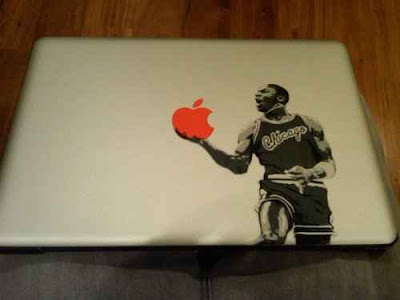 Everyone on the staff here at NBA FP is now lobbying for an Apple Laptop simply because of this skin. At least the real basketball junkie that works here that don't own on. Now if you want want you can get it for $13 and it ships for $5 if you in the United States. So go ahead and order it you know you want it. 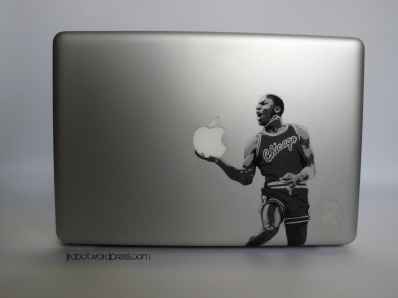 Give it some time and every marquee NBA player will have a sticker but of course Michael had to the be first.